Invasive species: Should we learn to love them? In the debate over native versus non-native species, it's getting harder to tell the good guys from the bad, some ecologists argue. The round goby spawned fearful headlines when it was first spotted in the St. Clair River between Lake Huron and Lake Erie in 1990. Experts predicted the small Russian fish with a big appetite would swallow the eggs of fish native to the Great Lakes and bully them out of the best nesting sites. Two decades later, it appears instead to have brought some unexpected benefits. 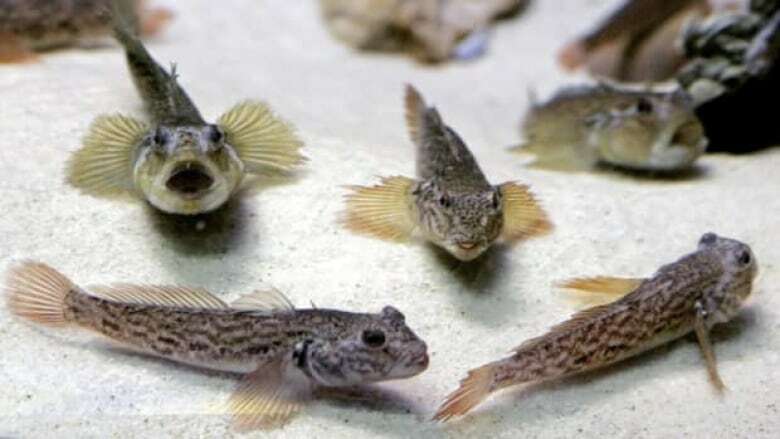 Round gobies, which hitchhiked from the Black Sea in ships' ballast water, are now helping to sustain an economically important fishery in the Great Lakes. Native smallmouth bass, walleye and stocked trout have developed a taste for the invaders, resulting in more stable populations of these sport fish. Cormorants are also making a meal of the gobies. And that's good because native cormorant populations have bounced back so spectacularly since the 1990s that their appetite for sport fish was becoming a serious concern. With the birds' fancy turning to gobies, more sport fish are being spared. And though round gobies are shaping up to be an important prey species, they are also one of the few predators of the invasive and highly destructive zebra and quagga mussels. "I was worried about the gobies," said Mitch Franz, a member of the Lake Ontario Fisheries Coalition and owner of Mit-She Fishing Charters in Henderson Harbor, N.Y. "But maybe the gobies were a blessing. They filled a void." Yet as with all ecosystems, nothing is straightforward. There is evidence the round goby has reduced some populations of native sculpins. It may also be helping to spread botulism poisoning by feeding on mussels that concentrate the potentially deadly toxin produced by botulism bacteria. When bigger fish and waterfowl eat the gobies, they further concentrate the botulism toxin, raising health concerns about humans eating the fish. "Their impacts have been both positive and negative, although the interpretation of 'positive' and 'negative' can vary considerably depending on who's speaking," said Linda Campbell, a fisheries biologist at St. Mary's University in Halifax whose research on round gobies is helping to clarify their complicated role in the Great Lakes. It turns out the round goby is just one of a growing list of examples of how it's getting harder to tell the "good guys" from the bad. In fact, the long-held notion that native species belong and non-native ones don't is increasingly meaningless and counterproductive, a group of 19 prominent ecologists from the U.S., the U.K. and Australia recently argued in the journal Nature. "It is time for conservationists to focus much more on the functions of species, and much less on where species originated," Mark Davis, a biologist at Minnesota's Macalester College, and his colleagues concluded in the paper. "Classifying biota according to their adherence to cultural standards of belonging, citizenship, fair play and morality does not advance our understanding of ecology," they added, noting that a lot of time and money has gone into eradicating non-native species. They point to the removal of tamarisk shrubs — brought to the U.S. from Eurasia and Africa as ornamental plants — as an example of wasted resources. For the past 70 years, landowners have bulldozed and poisoned the shrubs because they believed the plants soaked up more than their share of water in arid regions. But recent studies show tamarisk shrubs use about as much water as native plants and that they are a preferred nesting spot for the southwest willow flycatcher, an endangered bird. The non-native honey bee has also provided significant benefits, says Davis. The bee arrived with English settlers on the east coast of North America as early as the 1600s, providing newcomers with honey and wax for candles. Today, the honey bee is such an important pollinator of food crops that the colony collapse disorder threatening it is a serious worry. "There has always been way too much ideology and not enough good science associated with the anti-non-native species perspective," Davis said in an interview. 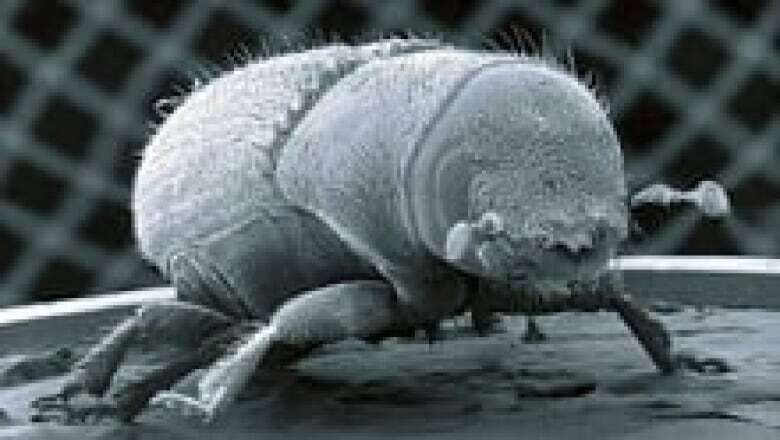 On the other side of the equation, he and his colleagues wrote of the damage done by the native mountain pine beetle. In the last 10 years, the beetles have attacked 17.5 million hectares of British Columbia forests — an area more than five times the size of Vancouver Island — decimating that province's logging industry. With fewer winter cold snaps to kill them, the wood-boring beetles are now marching eastward across the boreal forest. It's not the first time ecologists have argued for the potential conservation value of non-native species. Earlier this year in the journal Conservation Biology, American and French scientists made that case while characterizing as "militarized and xenophobic" the language used in scientific papers to describe non-native species. "We predict the proportion of non-native species that are viewed as benign or even desirable will slowly increase over time as their potential contributions to society and to achieving conservation objectives become well recognized and realized," wrote State University of New York conservation biologist Martin Schlaepfer and his colleagues. While the authors of both journal articles are careful to say non-native species can and do wreak havoc, their central argument has provoked strong responses. "These guys are dead wrong," said Hugh MacIsaac, director of the Canadian Aquatic Invasive Species Network II at the University of Windsor. In fact, MacIsaac goes so far as to say the authors of the Nature article been "grossly irresponsible." "You have no clear idea what you are going to get when invaders come into new areas where they have never occurred before, and unlike other forms of pollution you cannot stop the process once it begins to unfold. The best approach to prevent unintended consequences is to prevent invasions from occurring wherever possible," he said. Fisheries biologist Linda Campbell also has her doubts, pointing out that ecosystems evolve over long periods of time. Before humans intervened, species moved from one ecosystem to another slowly, giving plants and animals time to adjust. But thanks to human intervention, non-native species are moving around at much greater speed than ever before. With 185 known invasive species in the Great Lakes, and the possibility of more on the way, sorting out the implications is a work in progress. "The impact of the round goby has been amazing, and still is reverberating," said Campbell. "What its final niche and food web role will look like are still being figured out." 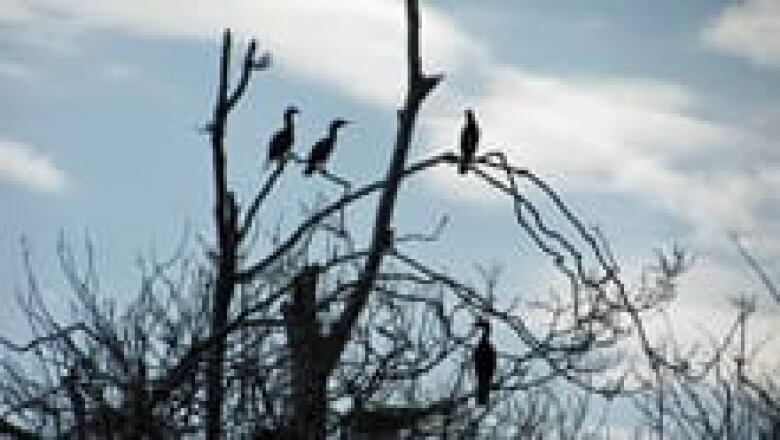 Cormorant debate: Which part of the ecosystem to protect?